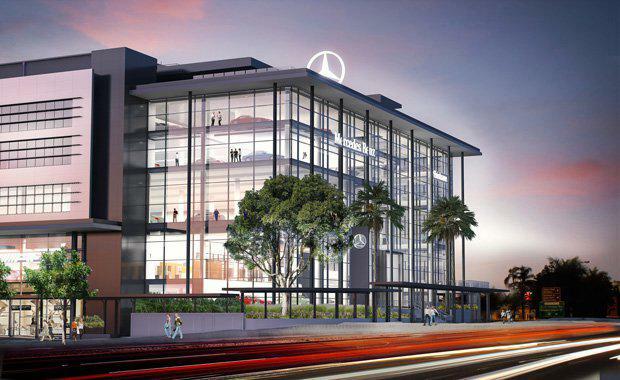 John Holland has been chosen to construct Mercedes-Benz Brisbane’s new Autohaus facility, making it the largest automotive dealership in Australia. To be built on the old Breakfast Creek Wharf site in Newstead, the $100m Mercedes-Benz Brisbane Autohaus will rival those in Europe. It will feature an automotive sales and service centre, a 539sqm automotive museum, administrative office area, rooftop event space and conference room and retail tenancies. Chief Executive Officer, Joe Barr, said the development would reinvigorate the public space along the waterfront. “In it’s heyday in the 1980s, Breakfast Creek Wharf housed riverfront restaurants but has more recently fallen into disrepair. This project is an exciting piece of urban renewal that will create an iconic leisure, entertainment and hospitality precinct enabling residents and visitors to truly embrace Brisbane’s subtropical lifestyle,” he said.